Description: Darice Jewelry Findings provide the perfect finishing components for your creative designs. 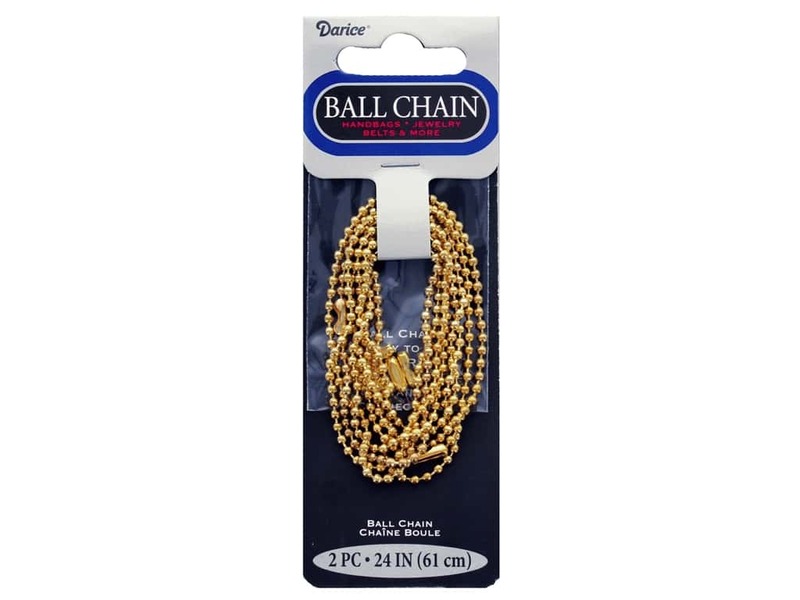 Chain 24" Ball 2.4 mm Gold 2 pc- 2 chains, each 24 in. long and each with connector closure. Length of chain can be cut to desired length, along with 3 connectors. Millimeter size refers to diameter of ball. Shiny gold-tone.